I am all about the return of feminine charm lately in fashion. I love that I am seeing elegant details mixed with fun modern touches. 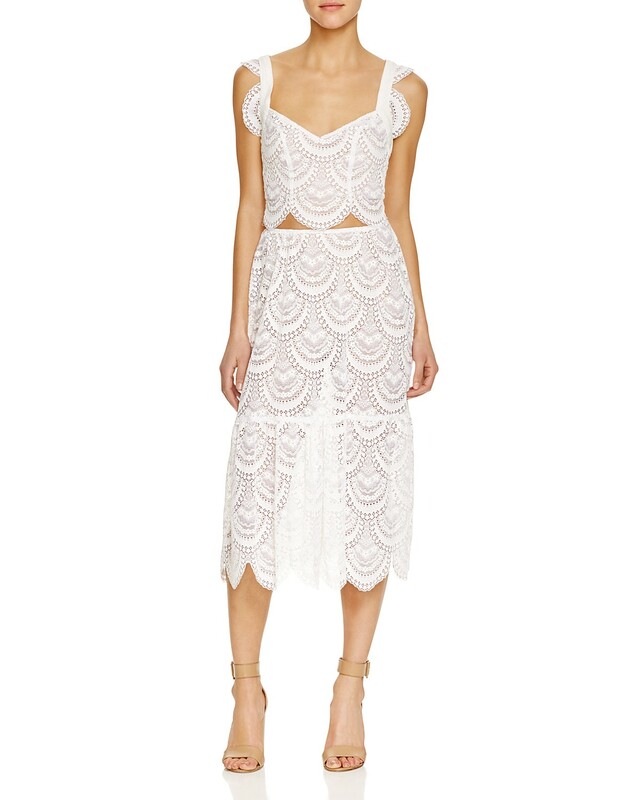 Lace is one of the big trends for Spring ’16 and it is the epitome of ladylike. 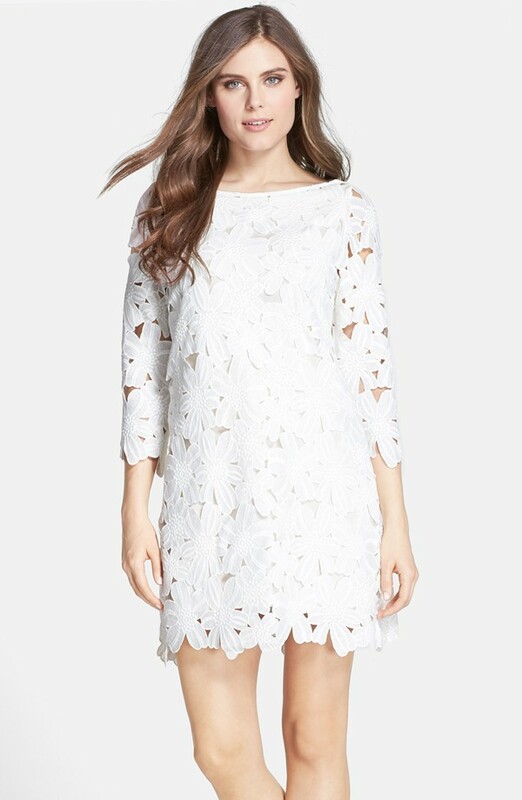 I love lace detailing in all colors, but my ultimate is definitely a crisp, clean white. One of my favorite designers for this trend is Self Portrait. Han Chong, the genius behind the label, has succeeded in mixing delicate intricacy with edgy street style. I couldn’t say no to this guipure lace peplum dress. The scalloped embroidery, the stand collar and the edgy feel all make this creation a piece of art. Mix all that with the sheer bodice and it’s just perfection. I kept with the girly feel by adding my favorite bright pink Manolo Blahnik heels (have you noticed I love this simple, classic style?) and my pale pink Celine crossbody. I am so excited that pastels are huge for Spring, as this bag is forever one of my favorite pieces. Simple accessories are a must when you are wearing a super detailed piece. A bright lip is always a must in my book. It instantly gives you life! I am obsessed with this long wear Stila version in “fiore”. It stays on forever and is the best pink. Is there really anything better than the feeling of wearing gorgeous dress? I am firm believer that your clothes shape your mood and attitude and this ensemble definitely made me feel beyond feminine and fab.